Here at SolidWorks we often get asked the same question: “Where can I find materials to help me learn how to use SolidWorks?” Well, we have many resources for SolidWorks users of all levels to check out. 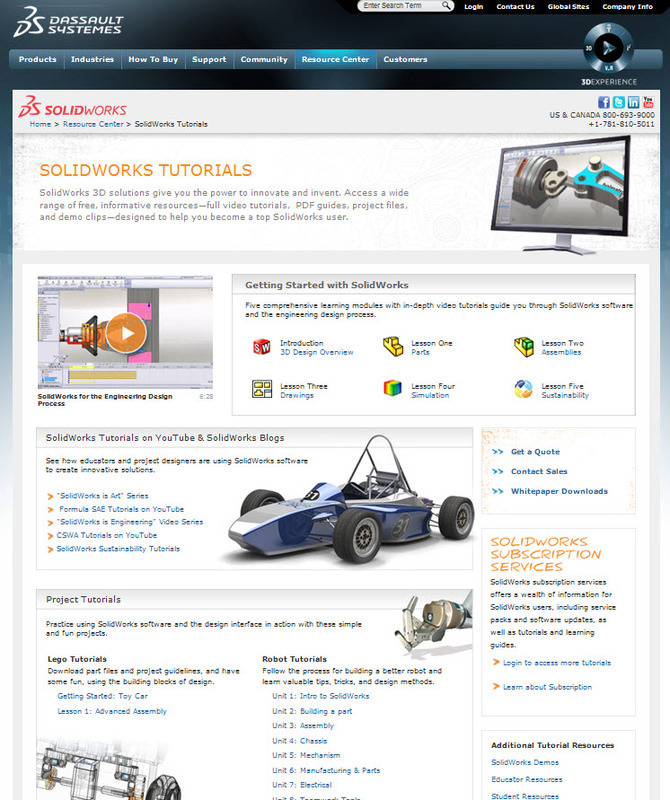 or Amazon.com such as the SolidWorks 2013 Basic Tools Part I and Part II. In addition to the variety of SolidWorks books that are available online, you can take a look at our video tutorials which provide instructions on different design needs such as building parts and assemblies. For additional online reading that teaches you all of the ins-and-outs of SolidWorks, you can also check out some of our older blog posts tagged as “Tips and Tricks”. If you’re looking for more personalized training and support, you can contact your local reseller: http://www.solidworks.com/sw/purchase/varlocator.htm. Moreover, please feel free to reach out if you have any additional questions about using the software that we haven’t covered in the resources mentioned above. Which part of SolidWorks do you want to learn about?